Our program is one of child development, which focuses on the daily activities of the children in Preschool and Kindergarten (ages 2-5). We are also aware of the needs and expectations of parents and strive to complement the family structure. The facilities include two separate buildings and play yards, as well as many classrooms to assure your child is in an age appropriate environment. The Director, Rosalie Lukban works closely with the staff to design a curriculum that is well-integrated and well-balanced to meet the developmental needs of the whole child. At Robbin’s Nest, we believe that a child with a positive self-esteem and a love for learning is well-prepared for later life experiences. The school has a wide variety of flexible programs to meet just about every parent and every child’s need. Robbin’s Nest has full-time (M-F), three-days-a-week (MWF), or two-days-a- week (TTh) program for 2 year olds (potty training class), 3 or 4 year olds and an All Day Kindergarten / Transitional Kindergarten Program. Full day (7:00 am – 6:00 pm) and half-day programs (7am-12 noon) are available for all age groups. There are two separate age-appropriate buildings and playgrounds at Robbin’s Nest. We also offer optional programs like Dance, Computer, Sports and Music classes. All teachers and staff are certified in Early Childhood Education and life saving skills; and registered with the Department of Justice. The tenure of the staff averages greater than twelve years. Aside from completing continuing education requirements every year, the teachers also have their annual In-Service training. Our Kindergarten program has a strong emphasis on reading, math, science and social studies. 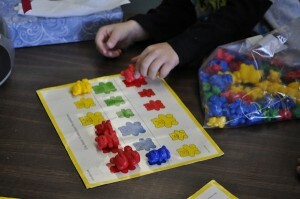 The all day schedule and the small class size allow the Kindergarten teachers to work closely with the children. A variety of activities (science experiments, field trips, cooking activities, etc.) are provided to expand and enrich their learning. After school care for Kindergarten-age children is also available, drop-off only. The Transitional Kindergarten program meets the needs of children who are kindergarten ready but do not make the current Kindergarten cut-off age requirement. The Robbin’s Nest philosophy is based on the belief that the relationship between home and school is key in motivating children to develop. Open communication and parent participation help build that bridge between home and school, and therefore encouraged. There is no need to make an appointment to visit the school. Robbin’s Nest Preschool and Kindergarten is located at 2912 & 2920 Honolulu Ave. in La Crescenta. Hours of operation are from 7 am to 6 pm. 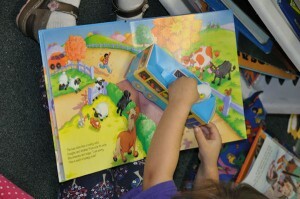 For more information, call (818) 248-7324 or visit the web site at www.robbinsnestpreschool.com. We will look forward to serving you at the NEST! We are committed to always strive to be the BEST! "Significant learning is self-initiated. This takes place in an environment that is open and supportive."